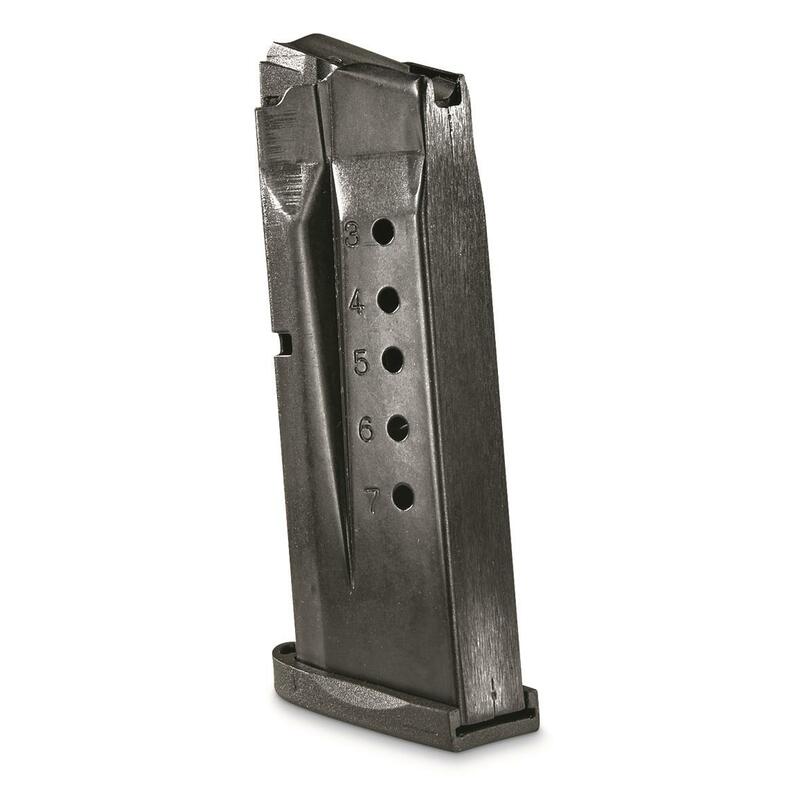 Designed to fit your S&W Shield 9mm pistol, this ProMagTM Blued Steel Magazine offers guaranteed reliability and sooth-feeding action. 7-round capacity with anti-fatigue spring and Technapolymer® components. ProMag S W Shield Magazine, 9mm, 7 Rounds, Blued Steel is rated 1.0 out of 5 by 1. Rated 1 out of 5 by Frustrated from Terrible Ordered one would only take 6 rounds and last round would not chamber in gun.Sg sent replacement just as bad and pro mag isn’t answering the phone.